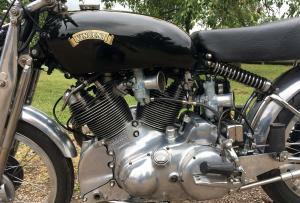 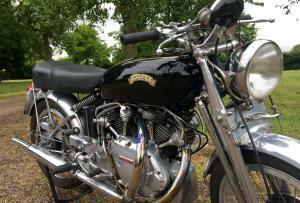 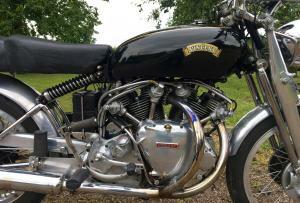 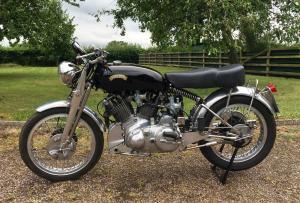 Vincent Rapide Series C 1954 998cc. 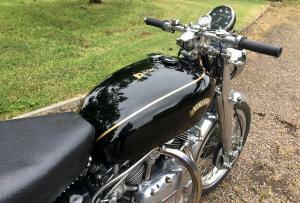 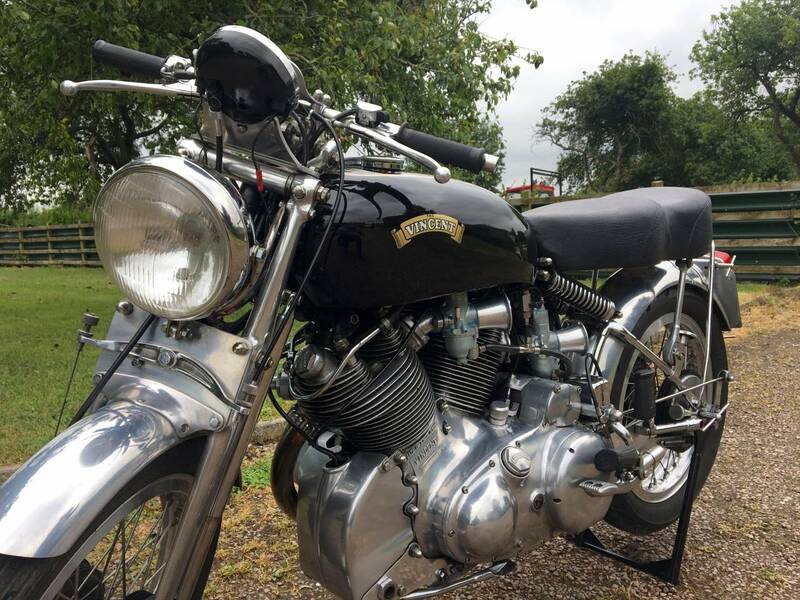 The Last Keeper Owned This Rather Special Rapide For 15 Years , Before We Acquired It . 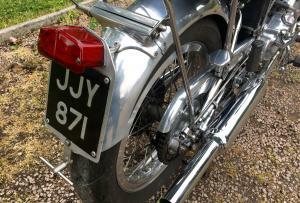 He Used It For Long Distance Touring. 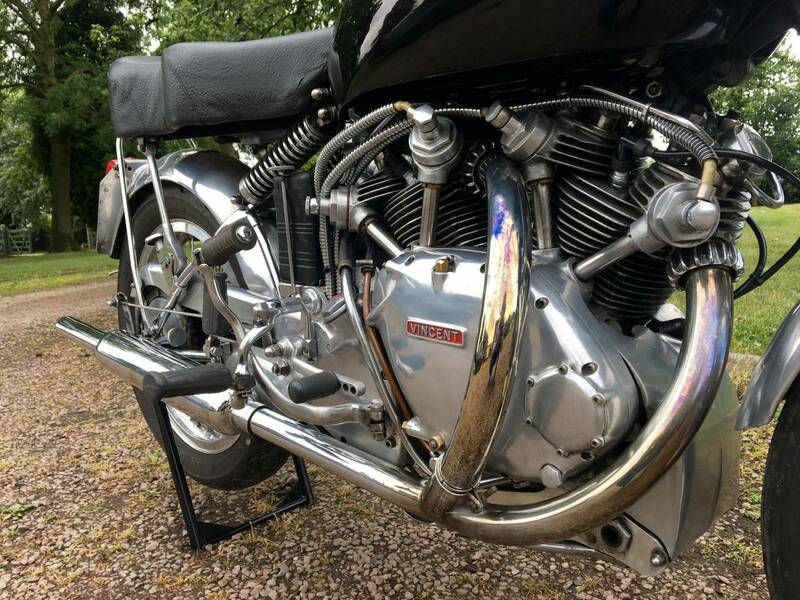 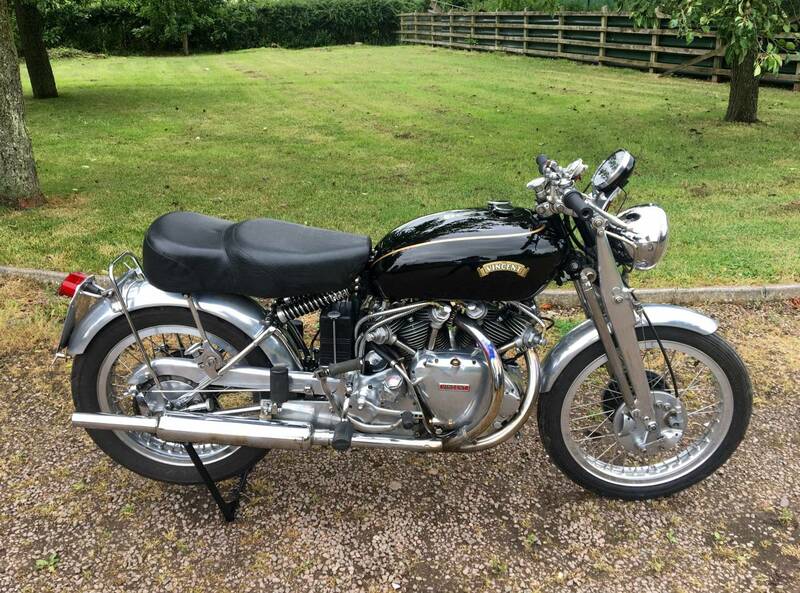 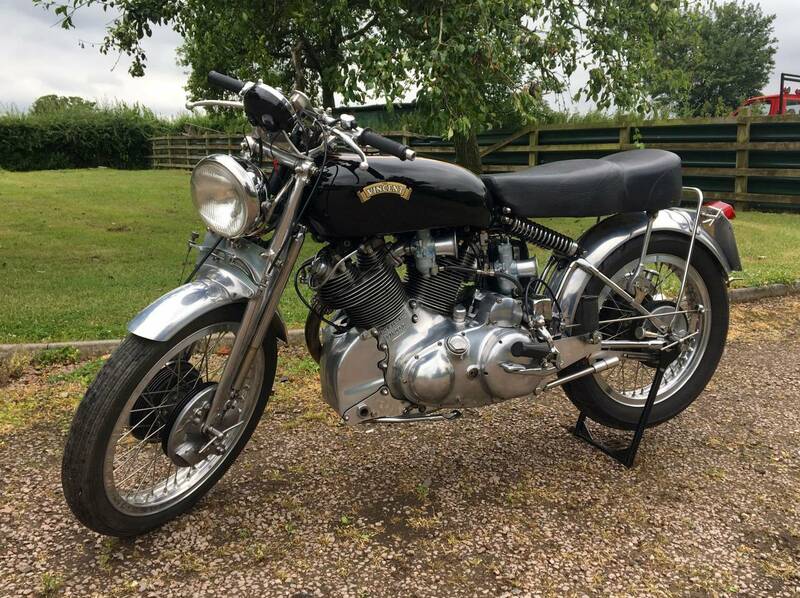 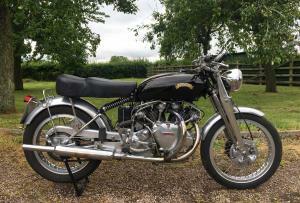 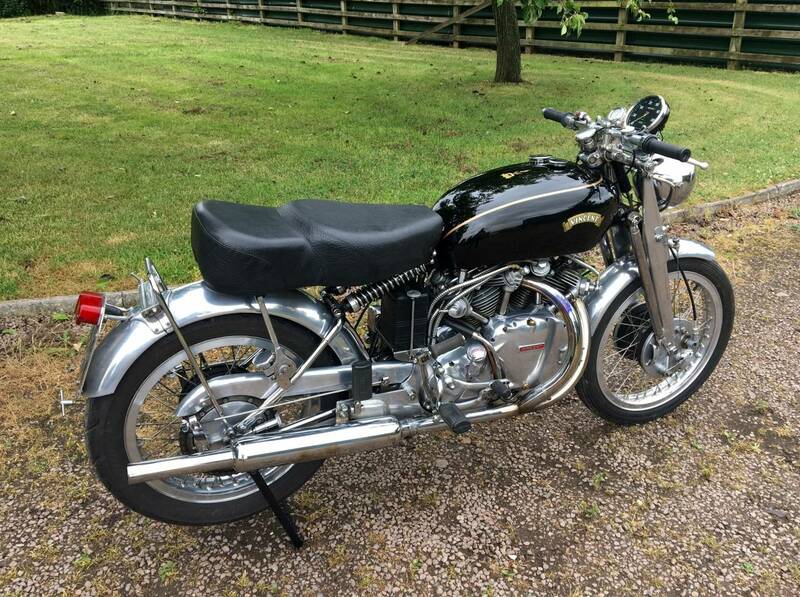 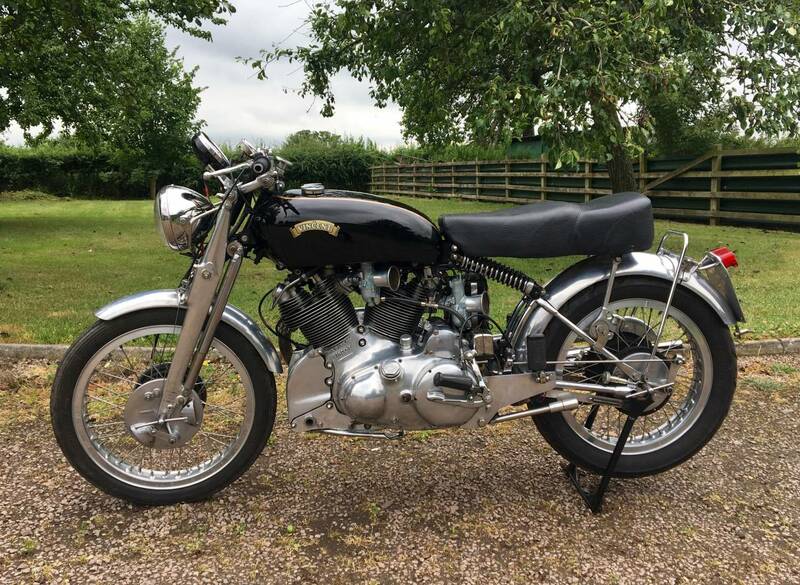 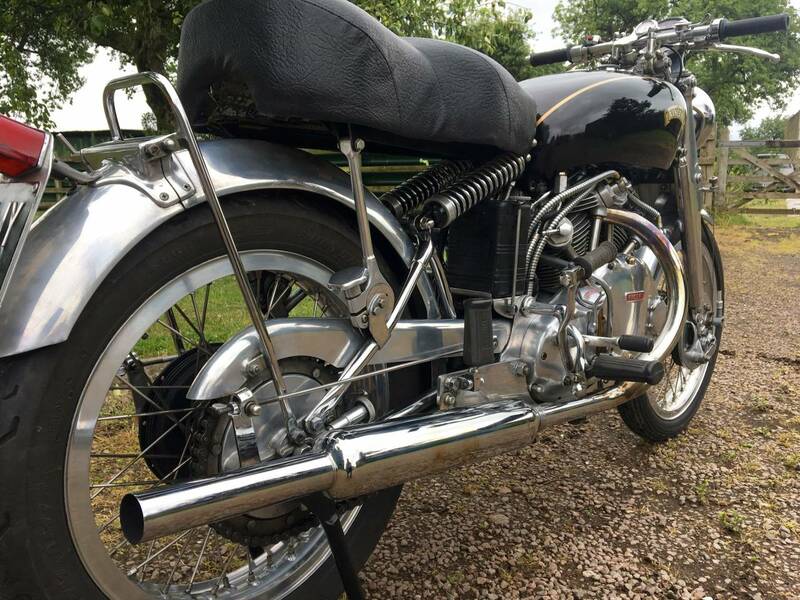 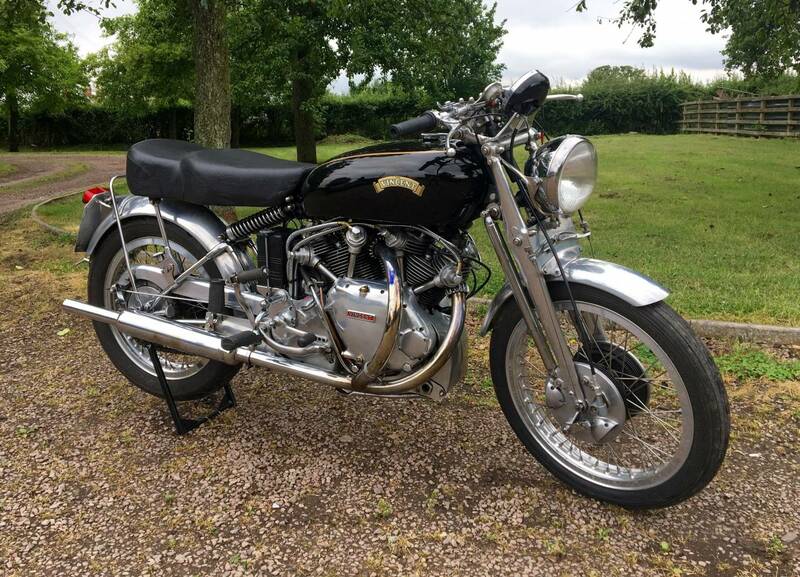 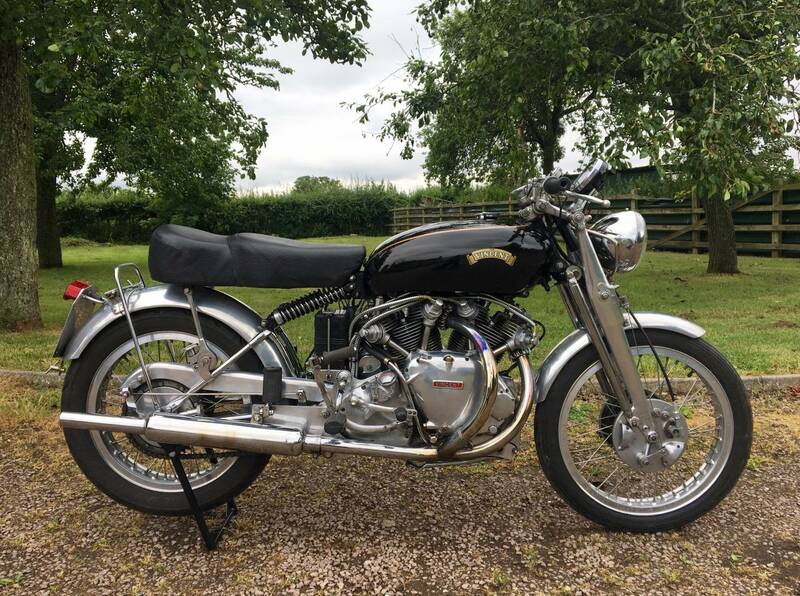 It's Not For The Purists , As Has The Same Year Engine And Frame, But Non Matching Numbers It Has Twin Rear Heads Both Carbs Exit The Same Side ) Which , In Our Opinion , Looks More Balanced. 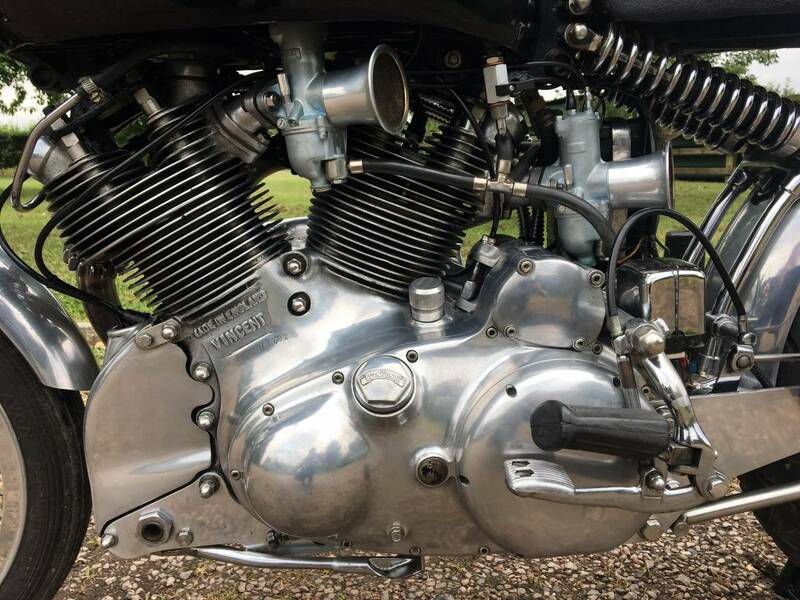 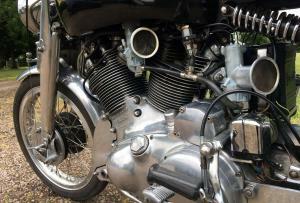 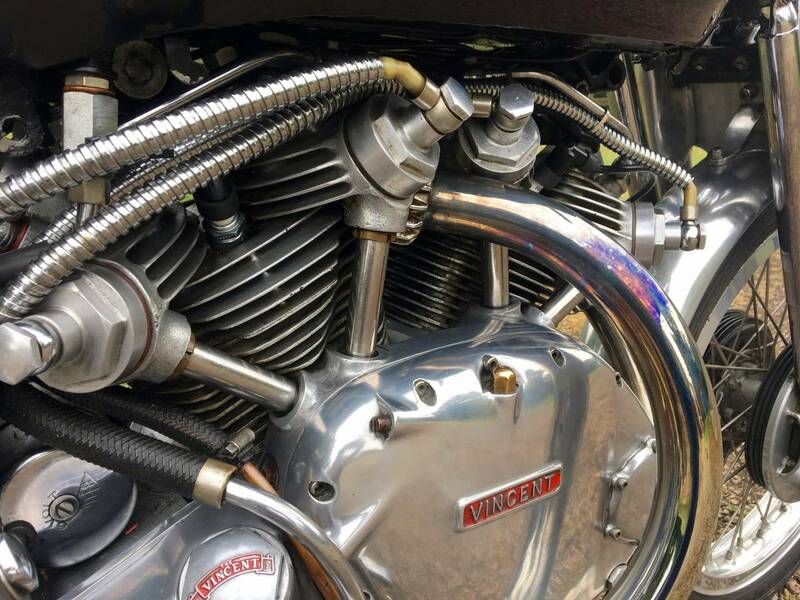 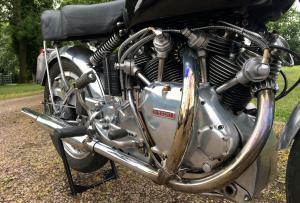 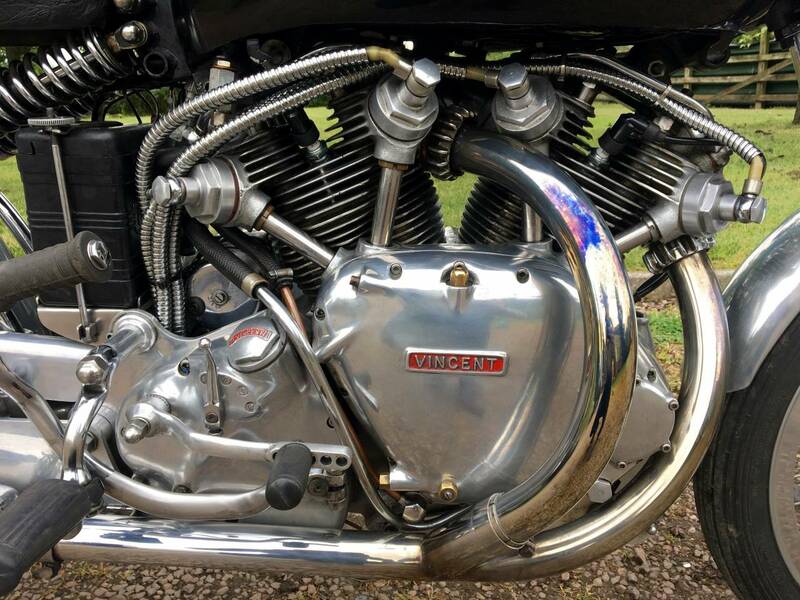 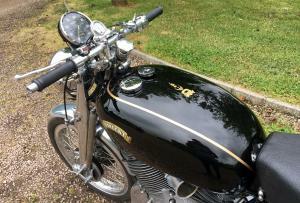 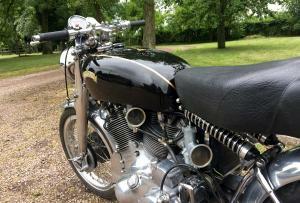 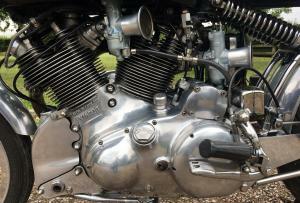 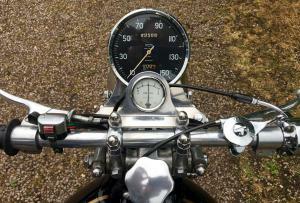 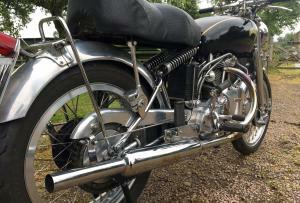 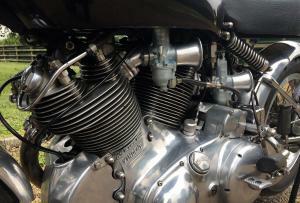 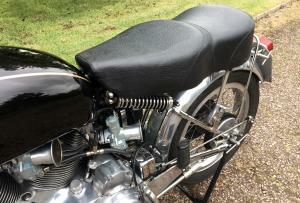 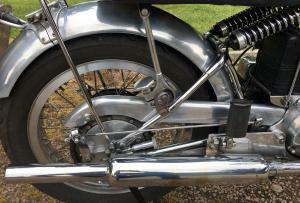 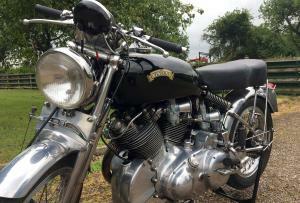 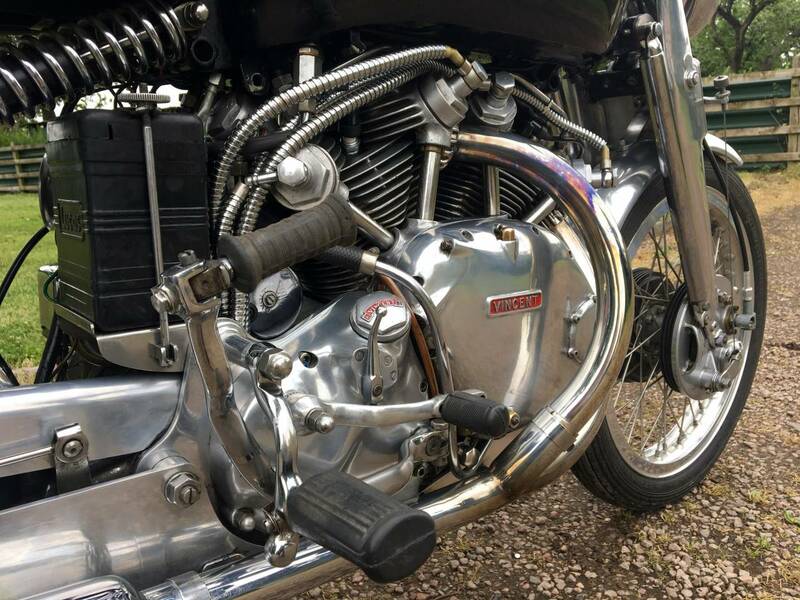 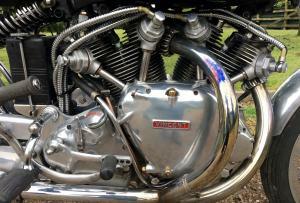 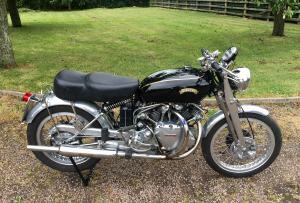 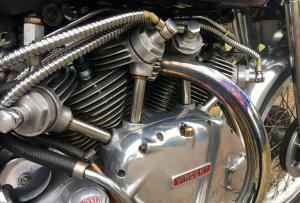 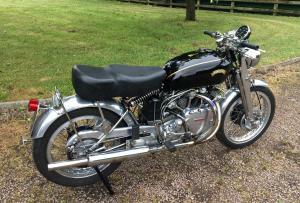 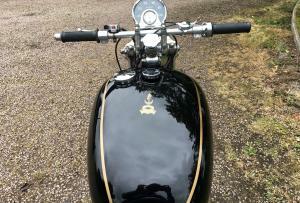 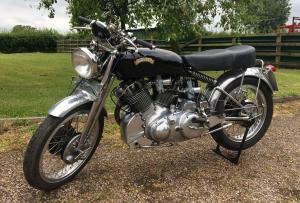 We Have Fitted Brand New Carbs , With Chokes , For Easy Starting And Better Running . 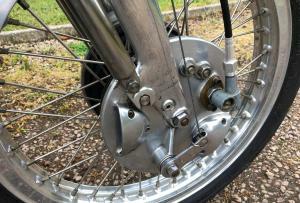 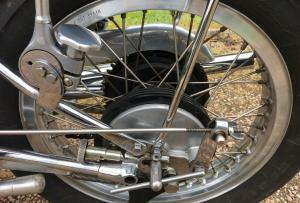 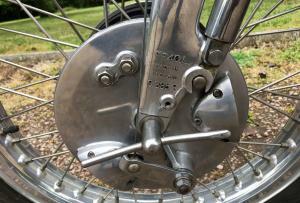 The Front And Rear Brakes Are Both Rare Lightening Items ; The Best ; Ribbed With Vents. 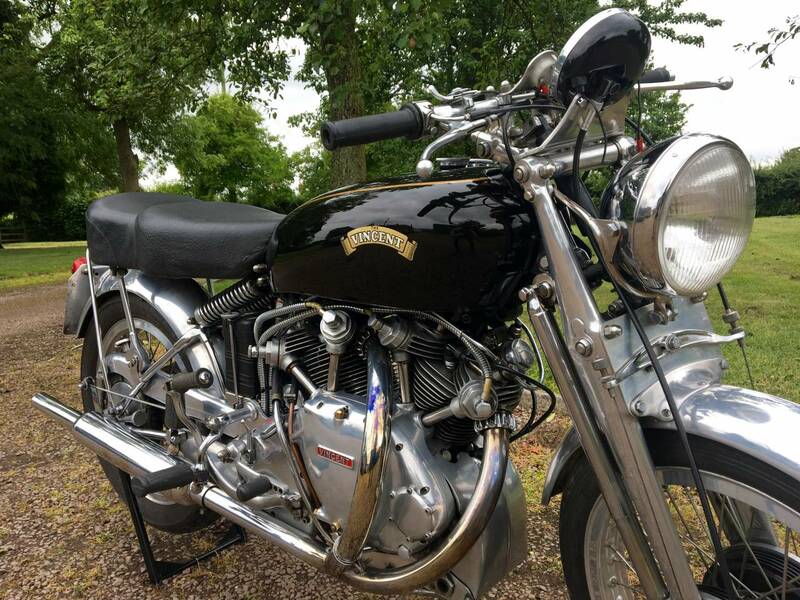 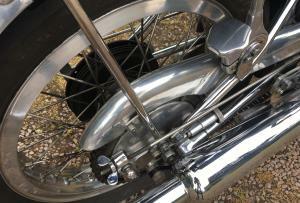 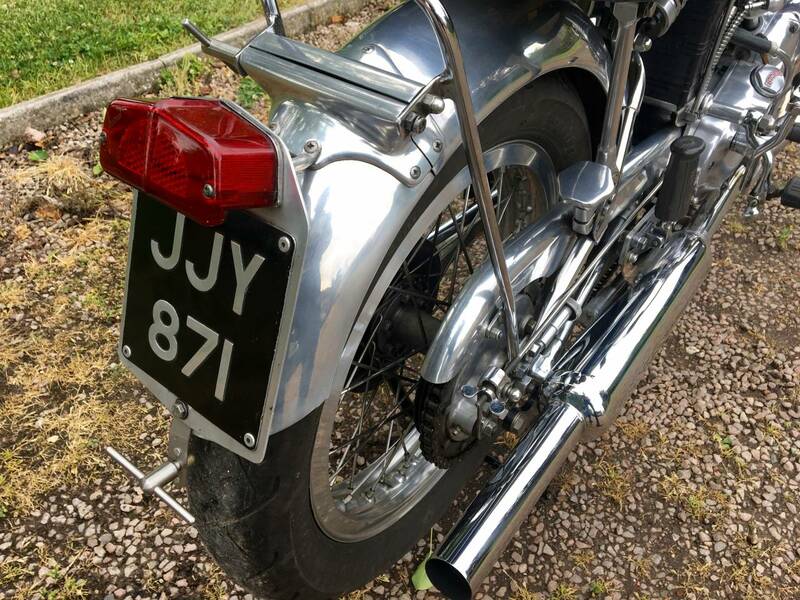 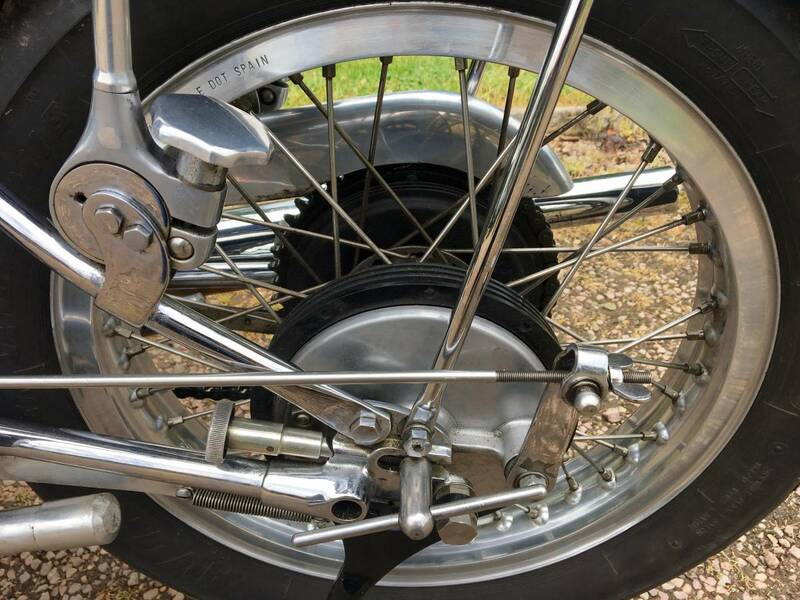 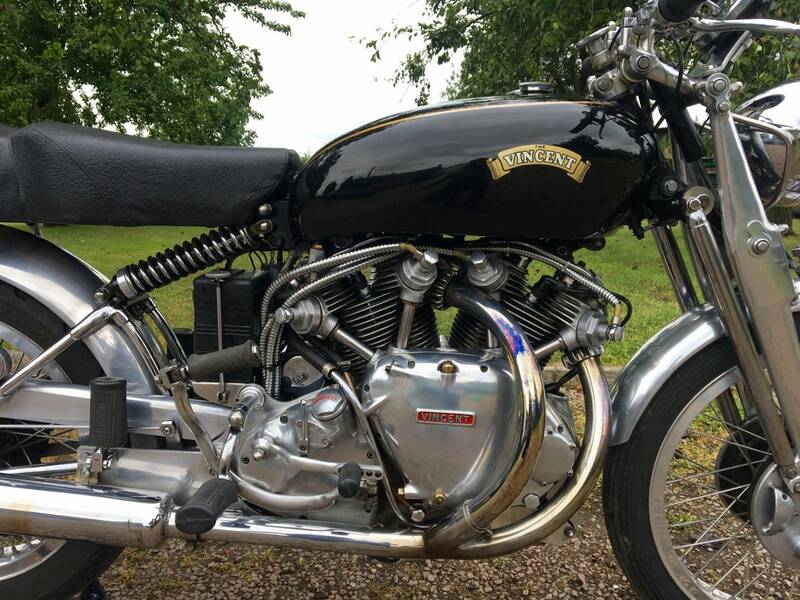 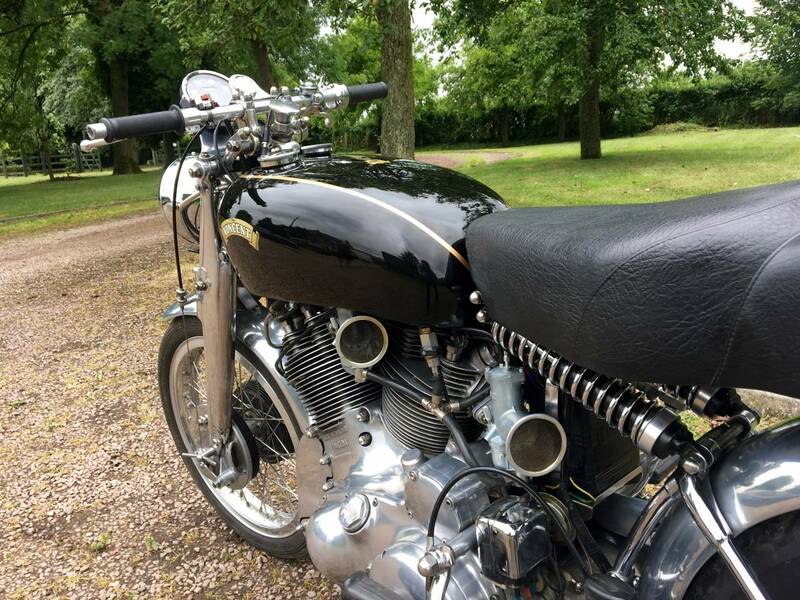 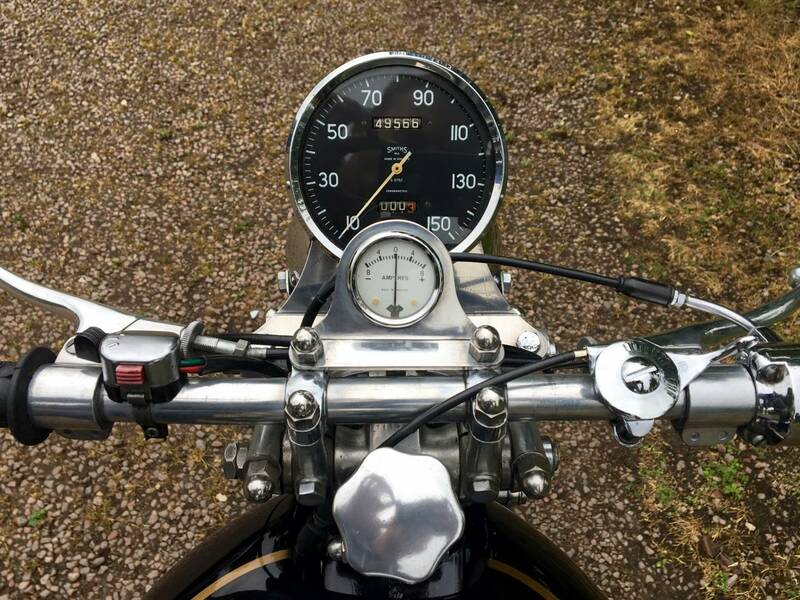 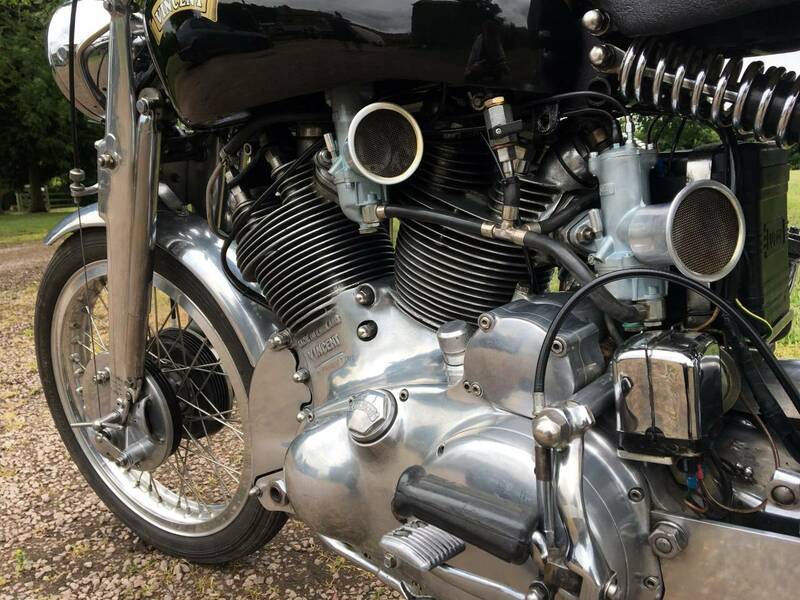 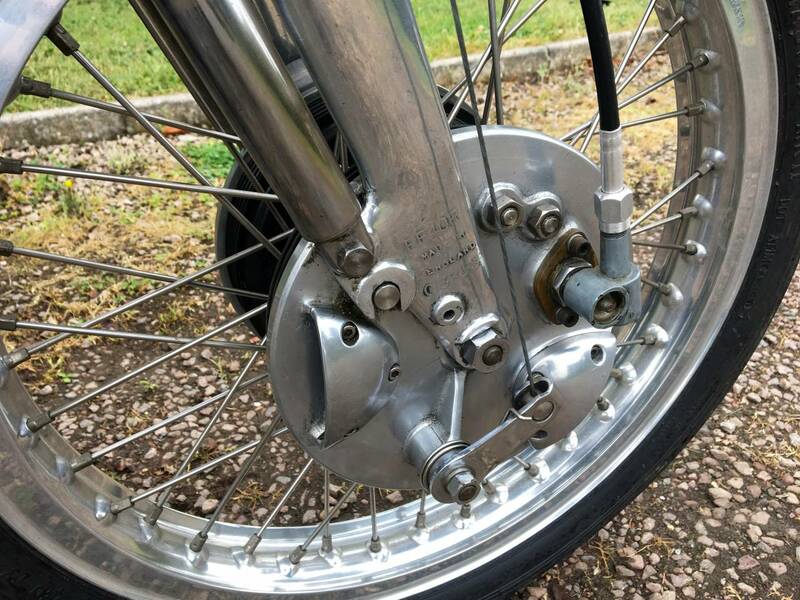 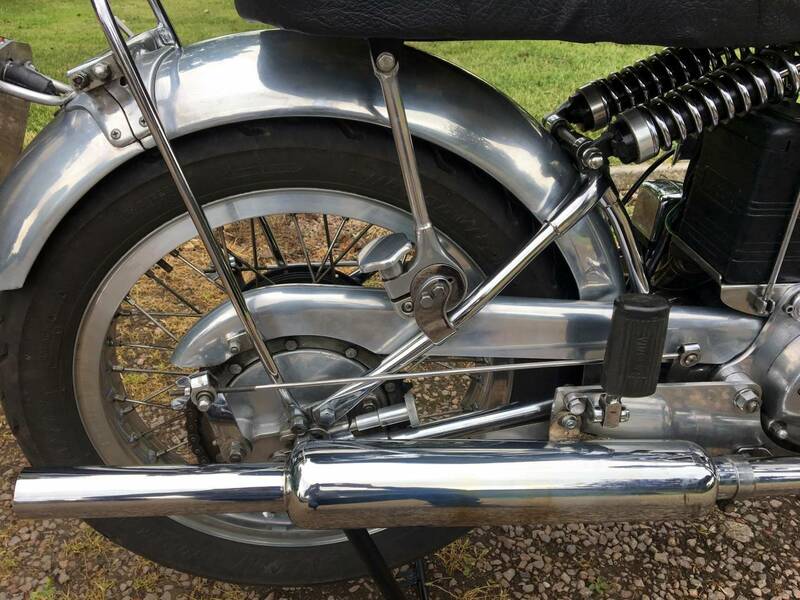 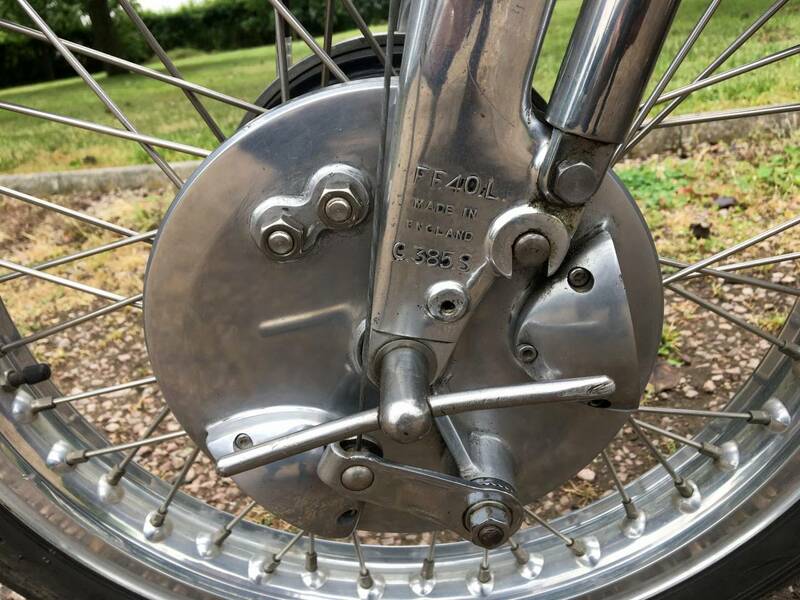 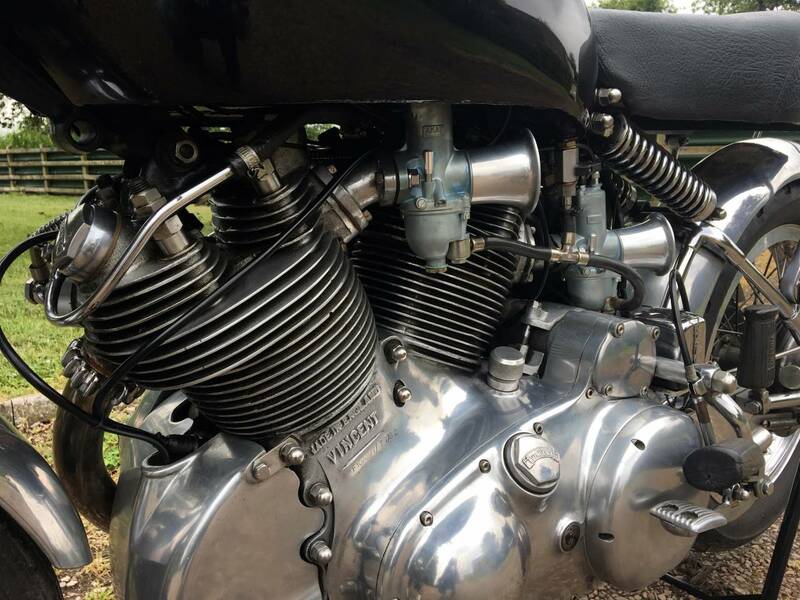 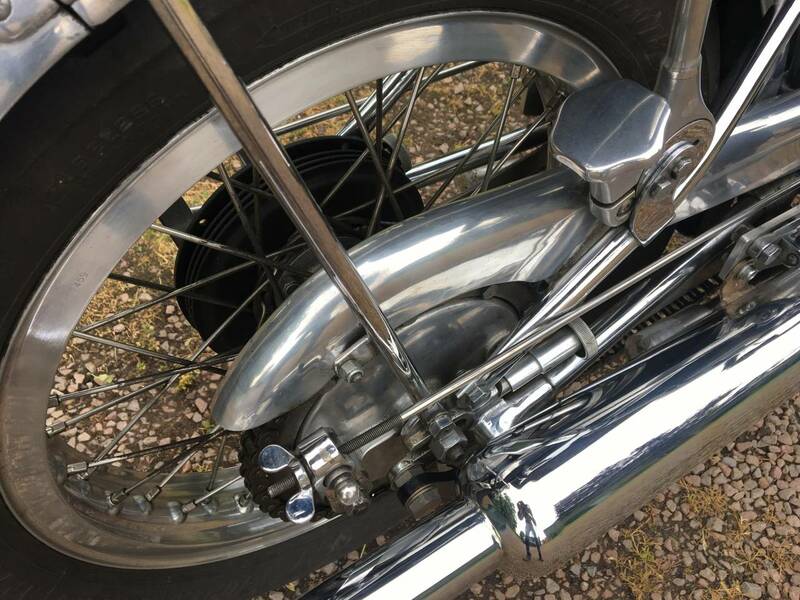 It Has Polished Front Forks , Alley Rims , Shadow 150 mph Speedo , Chrome Headlight , Centre Stand , Risers Under The Handlebars , ( As The Last Owner Was Tall ) . 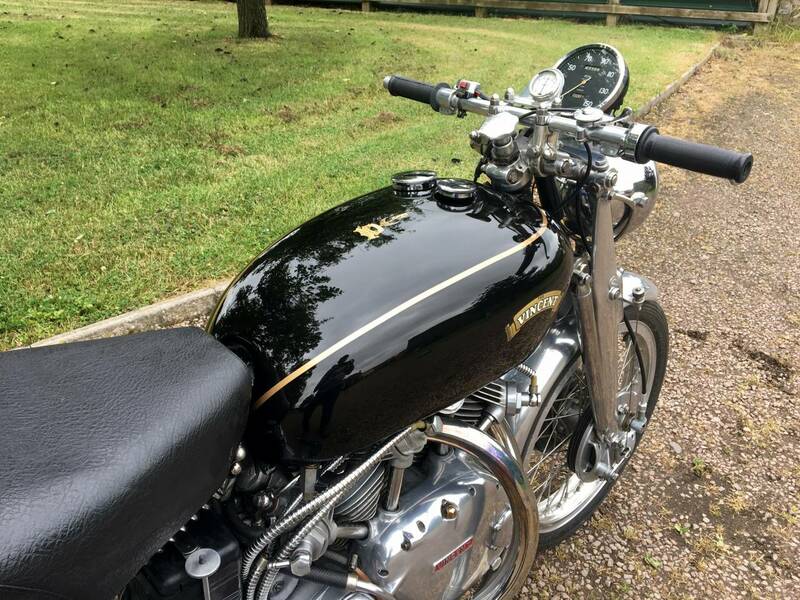 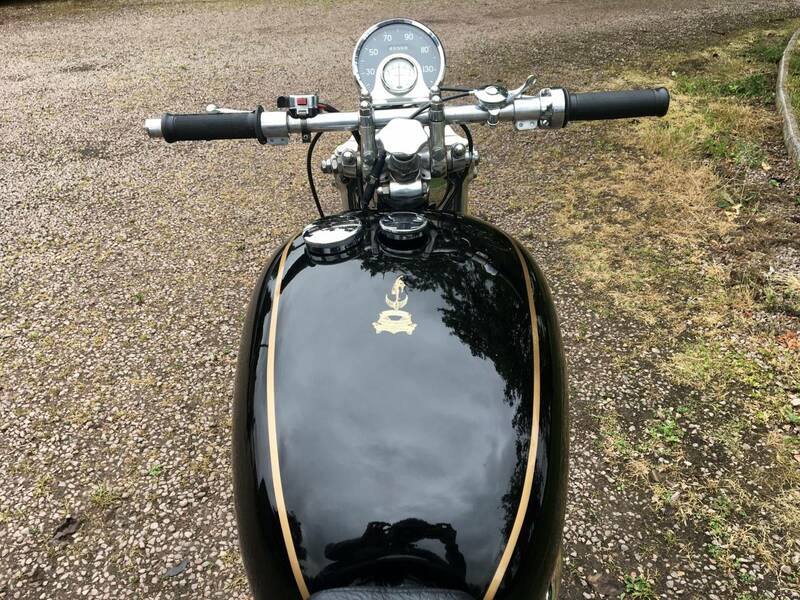 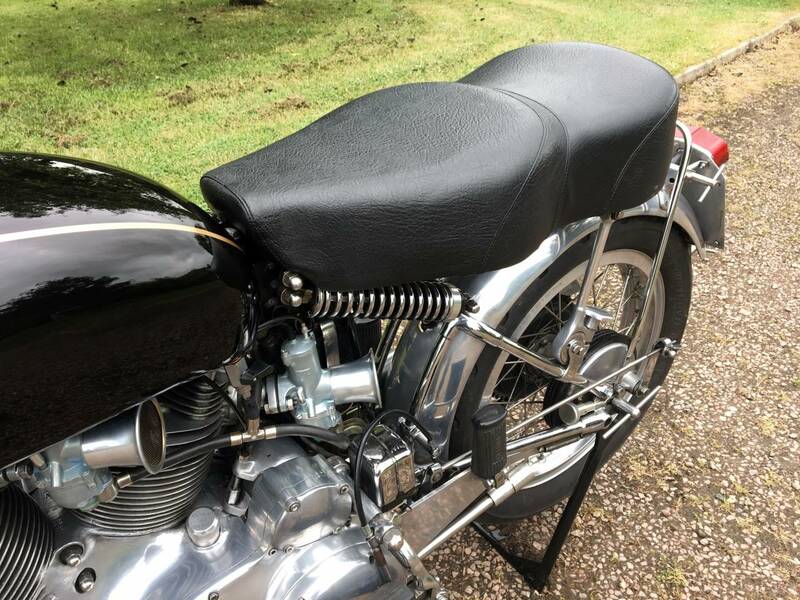 Its Still On The Original 6 Volt Electrics And Comes With A Restored And Repainted Petrol Tank , In Beautiful Condition , With Cover . 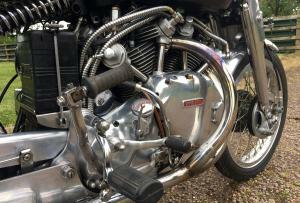 It Starts Easily And Runs Well , With No Smoke , Or Rattles And Has Superb Compression. 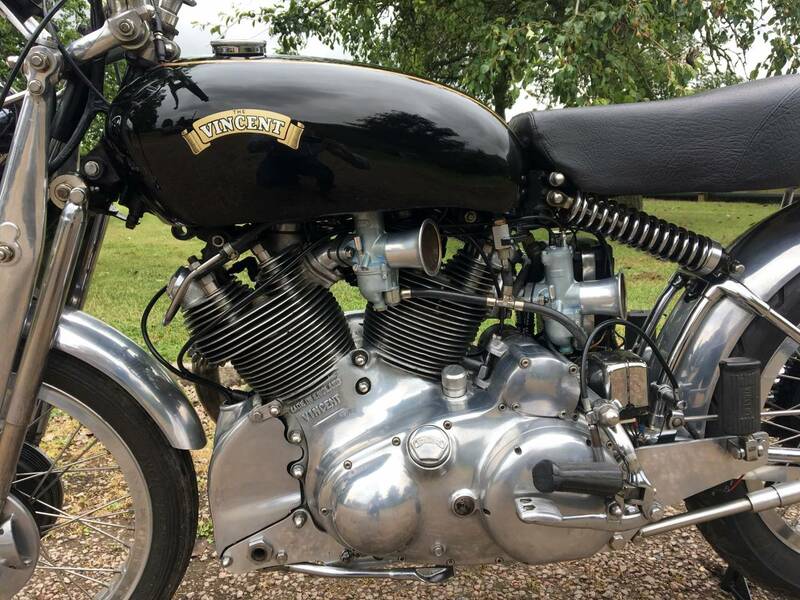 The Prices Of Vincent Twins Continues To Rise Rapidly , So This One Has Great Investment Potential And Could Easily Be Converted To A Black Lightning Special , Which Would Significantly Increase Its Value!